Rumours regarding the next Sonic title currently in development have surfaced, which is to be a spiritual successor to Wii exclusive Sonic Colours. 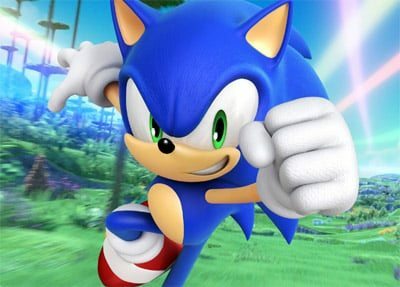 Sonic Dimensions, as it is rumoured to be titled, is set to take advantage of the Wii U controller’s unique capabilities with players using the touchscreen to both destroy enemies and activate powers. Four-player multiplayer will also feature, although details remain light. It has also been stated that SEGA may be working alongside Nintendo development teams on the title, aiding with level design which is to take a more surreal approach. The ‘Music Plant’ from Sonic Advance 2 may also be revived for the project. It is to compare visually to the soon-to-be-released Sonic Generations, and will include classic 2D gameplay elements. The storyline is to center upon a time-space continuum shift caused by Eggman, which will alter both the world and Sonic himself. Sonic will split into multiple personalities denoted by colour, each with its own unique abilities, and the core blue Sonic must unite the other colours. These colours will include Red, Orange, Purple, Green and Yellow; Red allowing Sonic to cause explosions to open new areas but has a slow speed and a short jump; Purple may move platforms and float; Orange will be similar to Big the Cat; and Yellow will make Sonic incredibly fast but take damage easily. Only two colours may be used within a stage, and a White version of Sonic will also be included which acts as a Super Guide with a similar function as Super Mario Bros. Wii and Donkey Kong Country Returns. If you die a certain number of times you may use the power that will make completing the level far easier, but will result in a lower rank.